Background: El Salvador achieved independence from Spain in 1821 and from the Central American Federation in 1839. A 12-year civil war, which cost the lives of some 75,000 people, was brought to a close in 1992 when the government and leftist rebels signed a treaty that provided for military and political reforms. 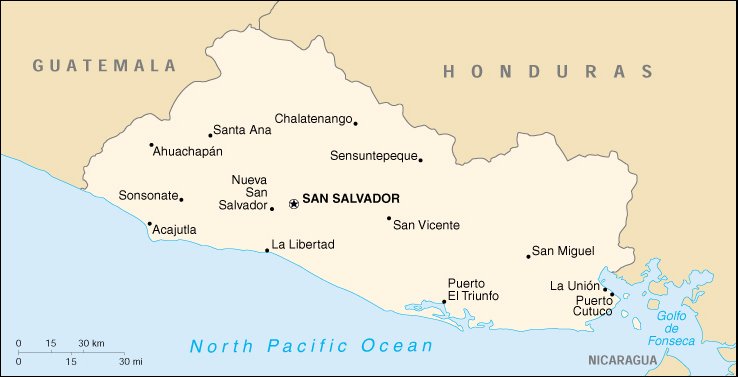 Economy - overview: El Salvador is a struggling Central American economy which has been suffering from a weak tax collection system, factory closings, the aftermaths of Hurricane Mitch of 1998 and the devastating earthquakes of early 2001, and weak world coffee prices. On the bright side, in recent years inflation has fallen to single digit levels, and total exports have grown substantially. The trade deficit has been offset by remittances (an estimated $1.6 billion in 2000) from Salvadorans living abroad and by external aid. As of 1 January 2001, the US dollar was made legal tender alongside the colon.